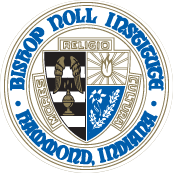 Thank you for considering Bishop Noll Institute for your child’s high school education. We gladly welcome all prospective students to visit our school during the day. When a student ‘shadows’ he or she is assigned to a current BNI student and goes through a ‘normal’ day of school. This gives your child an opportunity to meet BNI's staff and students. Additionally, it provides them with an understanding of what type of teachers and classes BNI offers. At the end of the day, your child should have an understanding of the BNI community and its culture. Shadow days begin promptly at 7:45 a.m. when all future BNI warriors are expected to meet in the main office where they will be greeted by the Admissions Team. We ask that all prospective students dress neatly and appropriately. This entails no jeans, gym shoes, sweatshirts, or T-shirts. The students will be paired with a current student and begin their day as a BNI Warrior. Parents are invited to stay and receive a tour of the BNI campus. This will allow parents a brief opportunity to see BNI at work! Students can be picked up at 3 p.m.
For your convenience you can also email it as an attachment to Mr. Jeff Stur, Director of Admissions, at jstur@bishopnoll.org. We thank you for the opportunity to show your child an internal perspective of our amazing school! !